Tomorrow the Dope Movie will be officially released in select theatres. I had the pleasure of attending an advanced screening last week and was very impressed by this stylized coming of age story. 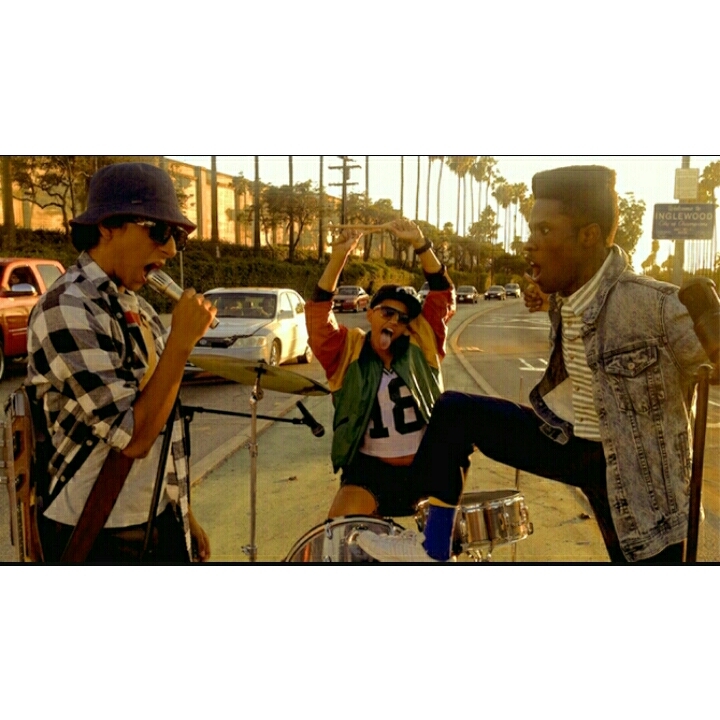 Dope is successful because it is a careful amalgam of hip hop, hope, humour and heartache. Hiphop- Dope‘s soundtrack is one of the best I have heard in a movie since 8 Mile. A blend of classic 90s rap mixed with a little new stuff creates a high energy musical ride. I found myself singing along, nodding my head and tapping my feet through out. Hope- The movie follows three high school seniors who live in Inglewood California, an area known for drugs and gangs. Our trio arent typical kids. With a deep love for old skool hiphop. Malcolm, Diggy and Jib have a band that plays punk funk and they spend their extra moments scouring record stores and finding vintage ‘hiphop’ apparel. Malcolm hopes to leave Inglewood and go to Harvard. Humour- part Boyz in the Hood, part Super Bad, Dope employs humour to break up some of the tension involved with living in one of the most dangerous neighbourhoods in America. Dope also doesnt miss a chance to use humour to nuance the awkward teen moments we have all experienced. Heartache- Dope points out that although a neighbourhood may be bad that doesnt mean its residents are, or that everyone in the ‘hood’ aspires to be a dope boy or gang member. The last lines of the film have Malcolm pose a question. “Why do I want to go to Harvard? If I was white would you even have to ask?” I guess Malcolm is implying that if he were white he would be more entitlted to a Harvard education, or that becuase he is black from Inglewood he must have nefarious intentions to want to study at the ivy league school. While the rest of the movie was a feel good coming of age story, the last lines rattle you back to reality. A reality where Malcolm might be shot by a police officer for being black in the wrong area. Or worse the reality that a decade or two ago Malcolm, in his late teen early adult years would be a statistical anomaly in Inglewood. Dope is a great movie it gives you all the feels but dont forget movies like this aren’t just a 2 hour entertainmement ride. They are a glimpse into cultures and places that people often dont go or cant be bothered to learn about. Dope is a film that needs to celebrated. **Malcolm has an affinity for Bitcoins and talks about them endlessly in the film. 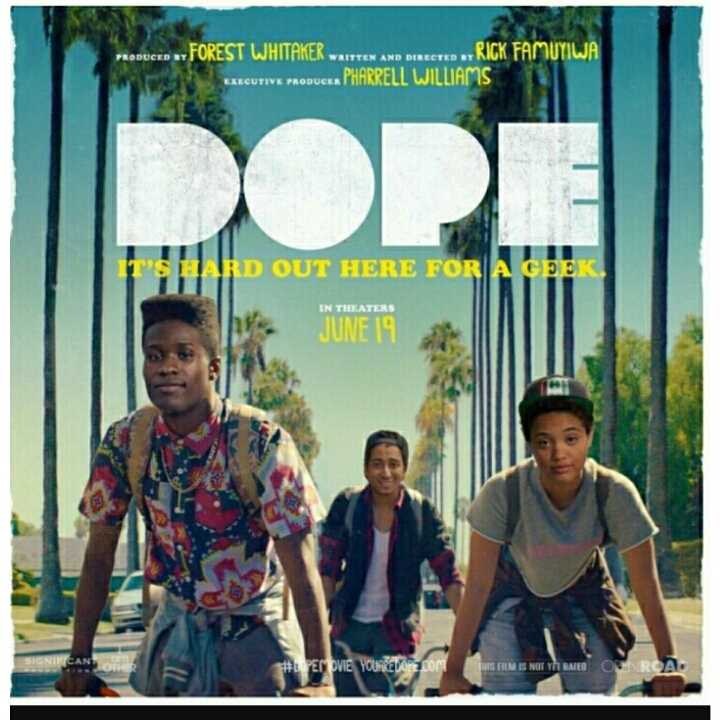 Dope will be the first movie that allows theatre goers the opportunity to purchase tickets with Bitcoins. How dope is that. This entry was posted in Arts, Hip Hop, opinion and tagged 90s, Bitcoins, Dope, Georgia Williams, HipHop, Movies, rap. Bookmark the permalink.